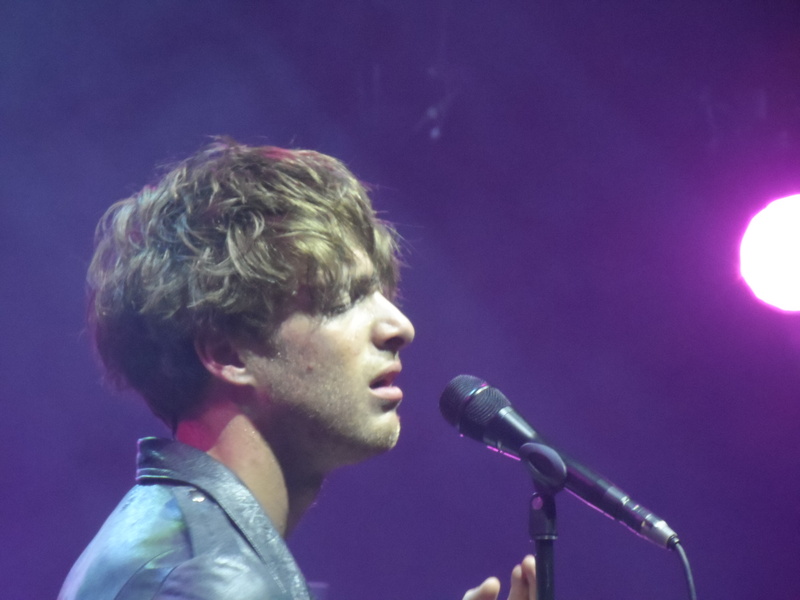 Gig Review: Paolo Nutini, The Roundhouse London – music waffle. There’s a reason this venue is called The Roundhouse. It’s not square. In fact in older times it was the location of a train turntable, but these days passes as the Globe Theatre’s rather stunning modern brother. The impressive space accommodated an eight piece band to support Paolo, reflecting the sophistication of his recent material on Number One album Caustic Love . He kicked off with Scream (Funk My Life Up) and proceeded to do quite a bit of screaming and funking the whole night long. He put his heart and soul into the delivery, which was raspingly perfect, accompanied by a range of impassioned faces. The intense yet internal Scottish Italian took a brief trip off the stage to make a few front rowers squeal, but seemed wrapped up in his own world and own microphone a lot of the time. Undoubtedly the show did justice to his recent material – songs like Cherry Blossom and Looking For Something were absolutely gorgeous in their delivery, and it has to be said that Paolo did not sing a note out of place all evening. For the second song in particular, it felt as if I was hearing the lyrics properly for the first time – a beautiful song about Mothers: “The guardian of my karma, keeps my feet on terra firma, then release me like a scent into the sky.” In the latter half of the show the backing screen and lighting were used more evidently, especially in the monster track Iron Sky where Charlie Chaplin’s speech from The Great Dictator boomed out. Incredible how Paolo’s vocal can come in and top that for passion. And I couldn’t help noticing during his rendition of Recover by Chvrches, that he was playing a lot of the guitar chords with his thumb. Little details like this please! Paolo remarked at one point in time that people had commented that he didn’t talk enough to the audience. I must hang my head in shame and say that to my untrained Southern ear, I really struggled to understand what he did say, and felt a short course in the language of Nutini was required. Paolo remains somewhat of a tousled hair enigma to me, but is sultry, charming and quite playful in his delivery, especially on tracks like Funky Cigarette. It’s just a shame I felt like the nitwit who didn’t get the joke a lot of the time. At one point in time I couldn’t help wondering what Donald and Douglas, Thomas the tank engine’s two friends, might make of this. I suspect their spirits were there, approvingly proud of their Scottish compadre. It was definitely one of those occasions where seeing someone perform live elevated them from a name on the IPod to someone I now rate highly. I totally agree with you about his live performance solidifying my recommendation of him.